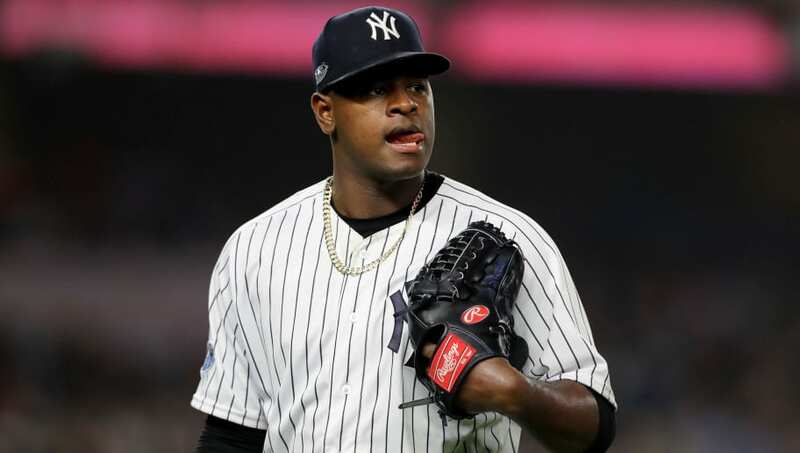 ​Yankees ace ​Luis Severino has reportedly gone back to the drawing board to avoid the pitfalls that plagued him toward the end of last season. In Sevy's first 18 starts for New York last season, ​he was absolutely dominant. He had a 1.98 ERA, 0.94 WHIP and allowed only two or fewer runs in 14 of those starts. However, for the rest of the season (14 starts), his ERA shot up above 5.00 and and his WHIP rose to 1.46. Back in October, it was reported that the right-hander was tipping his pitches left and right after a video surfaced that showed Boston Red Sox outfielders Mookie Betts and Jackie Bradley Jr. calling out his pitches as early as the second inning in Game 3 of the ALDS. The 24-year-old hurler said that he has done film study to take care of the tipping problem, and is working on strengthening his shoulders and legs to avoid fading physically in the second half of the season. If Severino can fix this issue, he and the ​Yanks could be in for a special 2019 campaign.